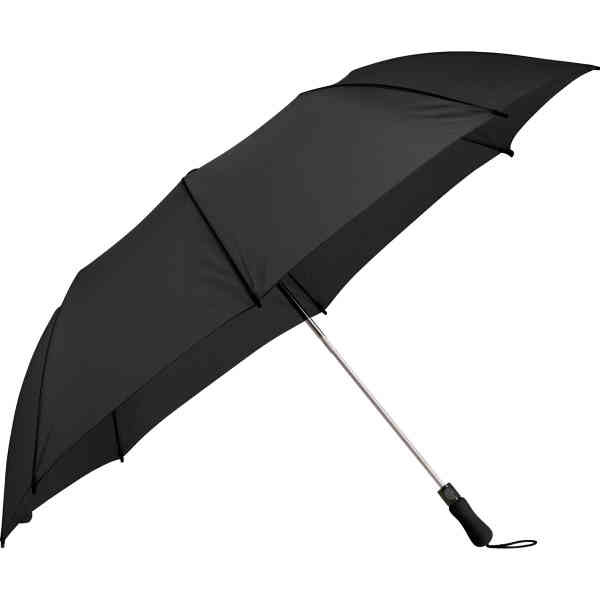 Imprint Method: Silkscreen, Imprint Method: Transfer - Two section folding, automatic open golf umbrella. Metal shaft with fiberglass ribs. Push button, top, pouch and comfortable foam handle color matched to canopy. Folds to 21 inches. Available for one-day turn with Sureship®.